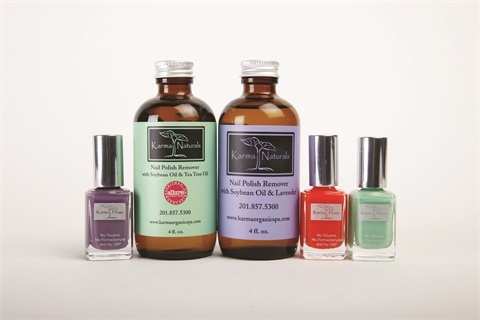 Named an editors’ choice by Allure, Karma Naturals nail polish remover is soybean-oil based. To add to its eco-friendliness, Ridgewood, N.J.-based Karma Organic Spa packages the product in biodegradable and recyclable materials. Its sister line Karma Hues nail polish is three-free and cruelty-free (not tested on animals). The line is available at select Whole Foods Markets and on the salon’s website. For more information, visit Karma Organic Spa.